Safflower oil has a number of health benefits. It is known to be highly effective in managing blood sugar levels, lower cholesterol levels, aid in weight loss, enhance skin quality, control over muscle contractions, and reduce symptoms of PMS and boost the immune system among others. 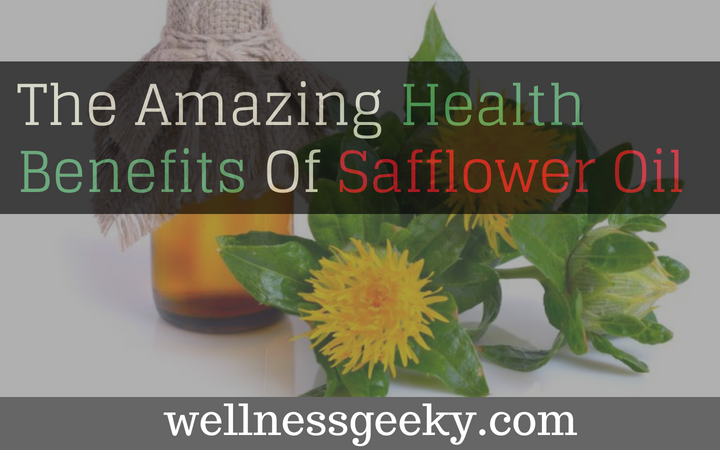 Here is a list of some of the well-known health benefits of safflower oil. It is rich in omega six fatty acids. As you are aware, omega six is a highly beneficial fatty acid that is needed by your body. It is also known as linoleic acid. It helps in keeping a healthy balance of cholesterol in the body. In simple terms, the presence of significant amount of linoleic acid in the oil helps in preventing conditions such as stroke and heart attack among others. Another benefit of omega-6 is that it can be used for managing blood sugar levels. This is the reason, people with diabetes are recommended to up their omega six fatty acid consumption to keep their blood sugar level in check. Some studies have also shown that it can be used to prevent the development of diabetes in people who are prone to this disease. While they are many people who think there’s a CLA Safflower oil scam, it has been known to help people lose weight. Due to excellent amount of omega six fatty acids, the oil helps in enhancing the metabolic rate of your body which increases the rate of burn of fat stored in your body. It can be used as cooking oil and can be used by people suffering from obesity as an effective way to lose weight without making too many lifestyle or diet changes. Also, it is completely natural vegetable oil which means there aren't any side effects associated with this vegetable oil. In addition to Omega six fatty acids, safflower oil is also known to be rich in oleic acid. This particular acid is extremely beneficial for your scalp and hair. It is known to help in increasing the blood circulation on your scalp which in turn stimulates hair growth and also strengthens existing follicles. This vitamin is highly effective in keeping your hair shiny and vibrant, and this is the reason this vitamin is a part of some of the most popular cosmetic applications for hair. Regular consumption of safflower oil rich in linoleic acid helps in boosting the quality of your skin. Research suggests that linoleic acid combines with natural sebum in your body and this mix helps in reducing blackheads by unclogging the skin pores. Since acne is also a result of sebum buildup under your skin, regular consumption of safflower oil is known to be useful for acne as well. You can also use this oil to clear up scars as well as various other skin blemishes as linoleic acid is known to stimulate the regeneration of skin cells. In simple terms, regular consumption of this oil will help you look younger with shiny and vibrant skin. It's a known fact that many women suffer from uneasiness and terrible pain during menstruation. Linoleic acid present in safflower oil is known to help in taming down the pain associated with mensuration. It helps in regulating the hormones that are responsible for PMS symptoms during the menstruation cycle. In simple terms, it can be said that regular consumption of safflower oil can help in decreasing the intensity of PMS symptoms and it can also be used for regulating menstrual cycles without any side effects. Safflower oil is not only rich in omega six fatty acids but a variety of other nutrients that help in boosting your immune system. It's a blood thinner which means it can also be used for slowing down blood clotting. As far as buying safflower oil is concerned, you should know that there are dozens of brands available in the market and all brands claim to be pure. However, it is essential that you do your research and make sure the brand you are buying is known to be pure and organic. Some brands do not use organic seeds to get this oil which means the benefits are not as significant as mentioned above. You should read customer reviews and check the discussion forums to find a brand that is known to sell only 100% pure safflower oil.